Hello 2019! I’m quite late to the band wagon here of sharing 2018’s highlights but you’ll have to forgive me, Jon & I just had a baby! It’s been quite the year for us and we’ve been all over the island for some truly incredible and memorable weddings. It also marked my first year as full-time freelancer which is super exciting - to be able to live in the place I love running my own business, I feel like it’s all a bit too good to be true. 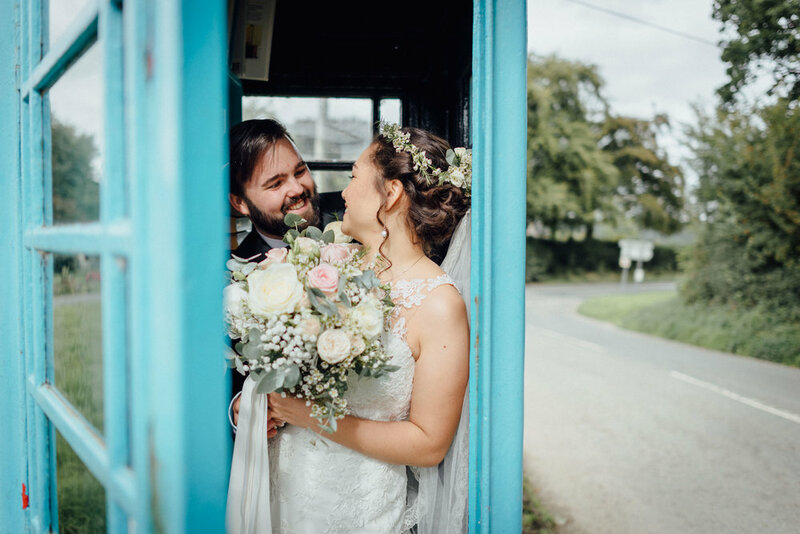 It’s always really hard to go through and pick highlights because there’s so much that I enjoy at each and every one of the weddings I capture so here’s just a little taster of what was another brilliant year spent with brilliant people. Then there was an extra special wedding in Dorset as it was my dear friend Megan marrying her long distance sweet heart Pauly. 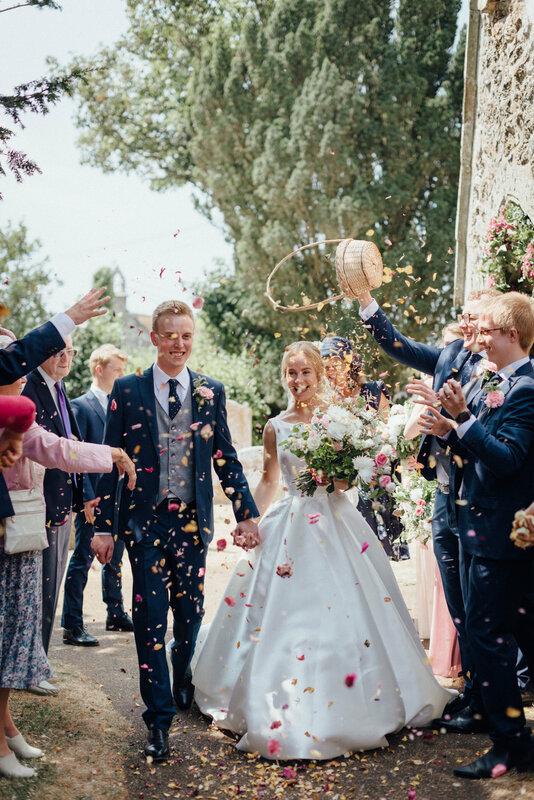 These guys had conquered distance between England and Australia and it was so brilliant to see them finally seal the deal at their dreamy spring wedding at Parley manor. 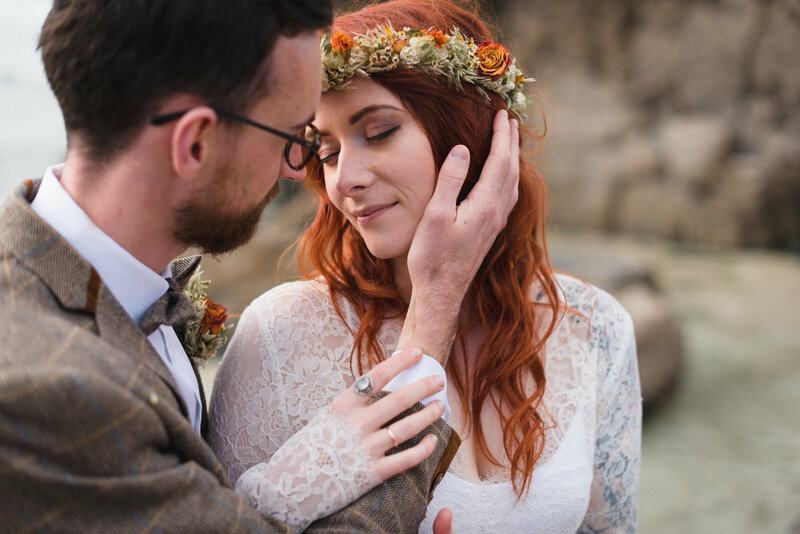 Back at the beginning of the year, Ailsa munro dressmaker, Ione Kutz makeup and hair artists and Ruby Alice designs the florist and I got together and dreamt up a Celtic inspired elopement story on Bodmin moor featuring my friends Lowenna & Rich. We got a feature in Rock my Wedding and had alot of fun in the process. I don’t do styled shoots very often but they really are a great opportunity to play and create and showcase some great craftsmanship. En elopement story shot on Bodmin Moor with Lowenna & Rich collaborating with Ailsa Munro Dressmaker, Ruby Alice designs & Makeup by Ione. May saw us travel to Birmingham for David & Ruth’s super fun day at Egbaston golf club. The bluebells were out in full force, as were the hydrangeas and we got to travel about in a golf buggy. Our transport for the year just kept getting better and better, Jon got a ride in the boat for Rhiannon and Ed’s wedding on the Helford River which kicked off with a morning of wake boarding. I also got to ride in a tractor bucket for the group photo which was definitely one of my unforgettable highlights for the year. 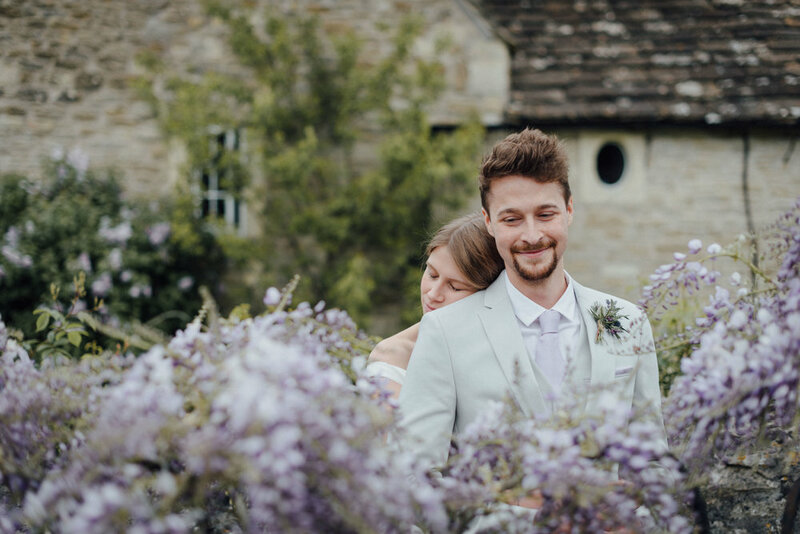 May is also the month of Wisteria and Pip & Laura’s wedding at Wick Farm near Bath was brimming with it. It tied in well with Laura’s bridesmaid’s colour scheme! 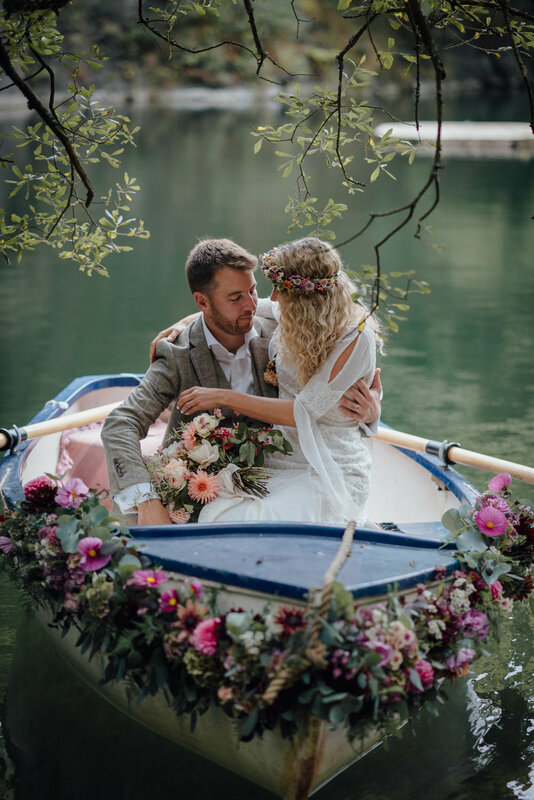 In June, I had another River wedding; this time the Carrick Rhodes beckoned for Amy & Ollie’s relaxed tipi wedding at Restronguet Barton. The weather was immense and the views were amazing, I love weddings where there’s a bouncy castle as I love photographing everyone’s best moves although I do get pretty jealous that I don’t get a bounce myself! 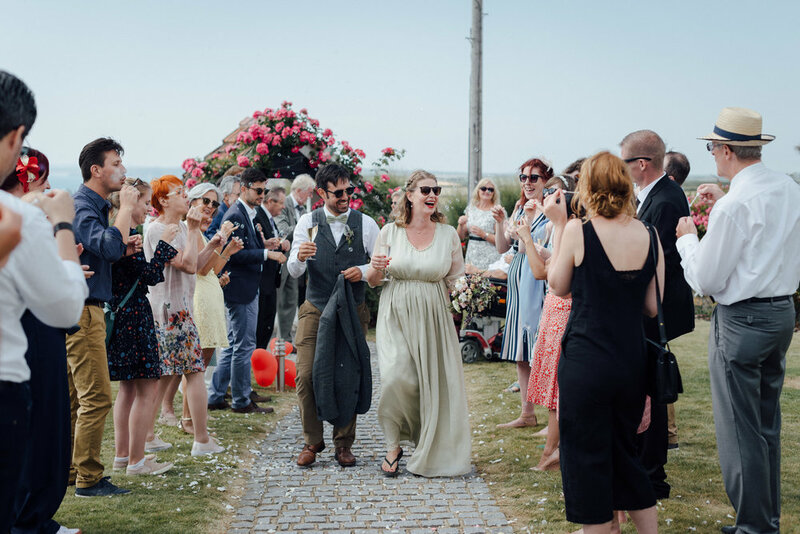 Another of my most memorable weddings was that of Fenja & Alejandro who got married in Helston and celebrated ON THE BEACH. 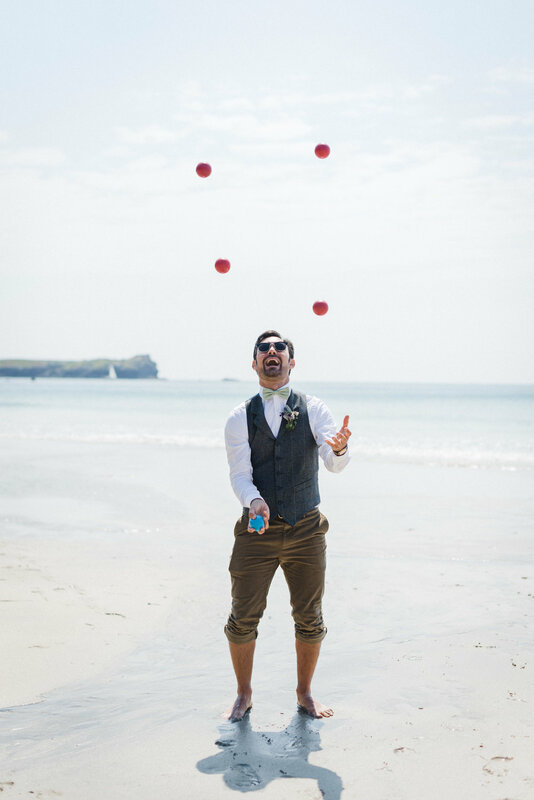 The weather was so great for a beach reception as everyone made their way down to Pollurian cove for Fizz and beach games and paddles in the serene blue waters. It really was the perfect day with people who had traveled from all over the world. The late afternoon reception was held at the bride’s mother’s home which had immense views over the sea and some seriously good food served up by Kerra’s catering! I’m a sucker for bumblebees and couldn’t resist sharing this shot from Rachel & Dominique’s wedding at Knightor. Claire from the Cornish Cutting garden always does the loveliest flowers, tried and tested by this bumble with rave reviews. Rachel & Dom also had guests from across the continents with an international brass band jam sesh in the afternoon. The fish and chip van that turned up to serve the evening food also went down a storm. Jon & I were spoiled with a trip to the isle of Wight to capture James & Sophia’s wedding in Brightstone. It was so picturesque and we squeezed in a trip to the beach and stumbled upon some beautiful ruins along the way. Yes please to more island weddings! Then there was Hannah & Josh’s gorgeous wedding at Devoran Quay, certainly the most scenic marquee location I’ve seen in a while! Right on the waterside. 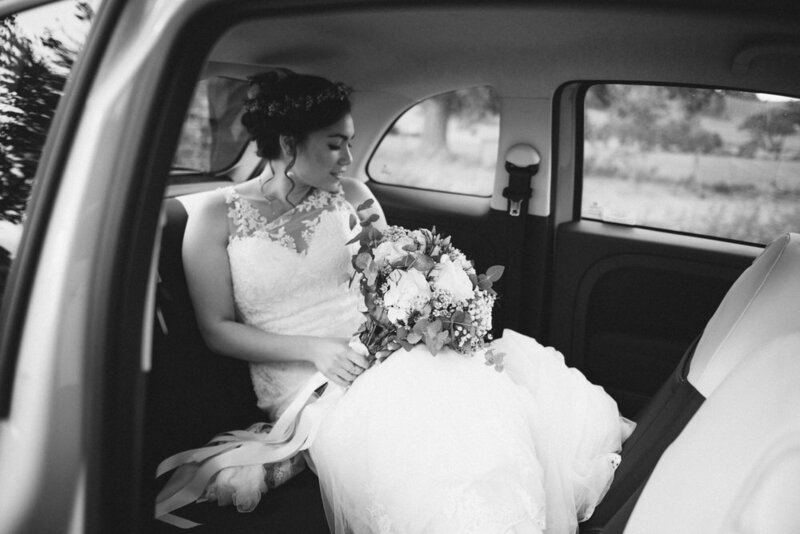 They were such a dream to capture and their day was so full of love and tenderness. Just how a wedding should be. 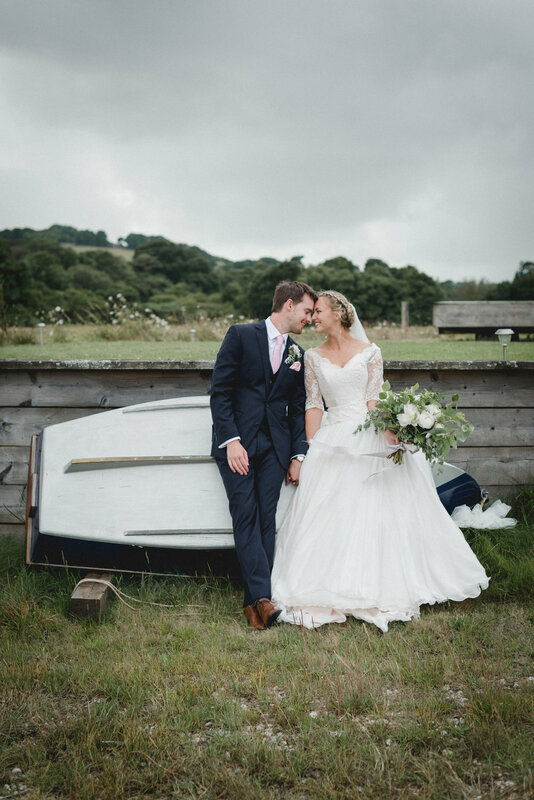 Once again I was thoroughly spoiled with a boat trip for Lawrence & Bernice’s awesome wedding in Mylor. 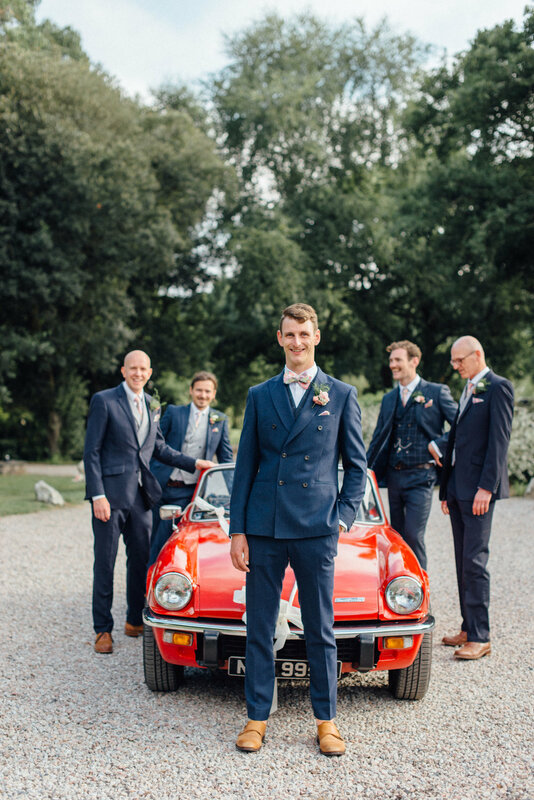 They got married at the quaint church overlooking the water then caught a beautiful boat to Trelissick where their snazzy transport in the form of one gleaming red sports car along with family was waiting for them. They had a salsa band in the evening which made for some AMAZING dancing. These guys knew how to have fun and really threw an amazing party. I love this image of Emma’s mum seeing her daughter in her dress for the first time. This was another day full of tender moments, fun and mischief with some great sneaky dancing from the bride’s mum and bridesmaids during the church service. 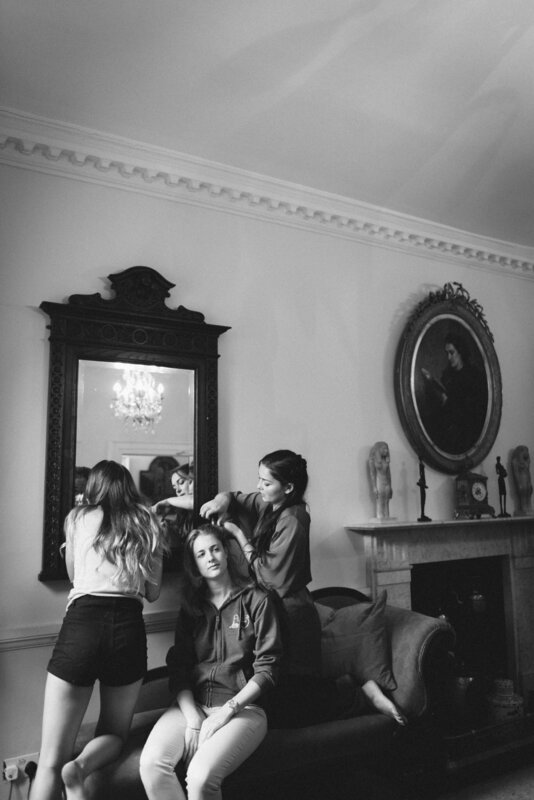 In August, we travelled up to Bath for Beth & Tom’s beautiful wedding. Beth is a fellow wedding photographer so the pressure was on! I love working with other creatives because it always leads to a collaboration and sharing of ideas and I’m always in love with the results. 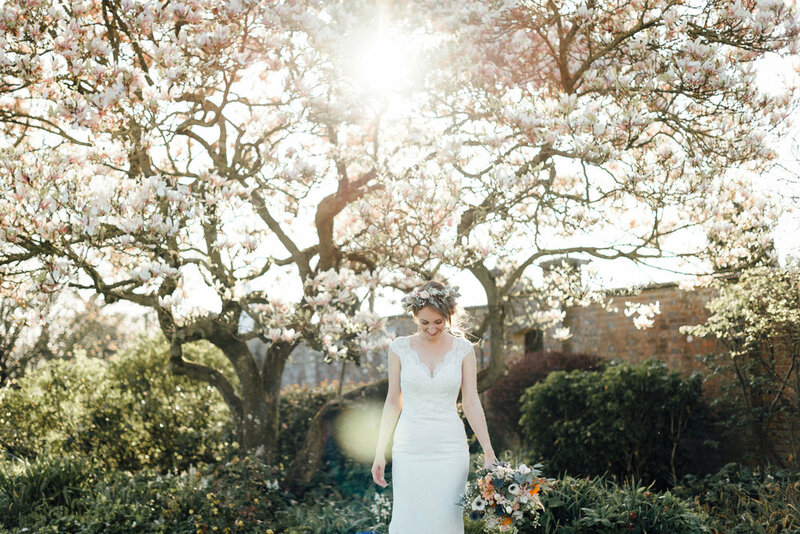 The wedding was hosted at Beth’s family home in the rolling valleys of Bath, I’m so in love with her dress and style! There were some great doggie guests too :D Always a bonus. Oh, and Tom performed a song for her during the speeches. I’m not crying, you are. Ok, I’m crying. Grooms, the bar has been set and it’s real high. Back in Bath again for Rose & Isaac’s sweet little village hall wedding next to a corn field! These guys were ADORABLE. Isaac had such tears in his eyes when he first glimpsed his bride coming down the aisle, such pure love! Dang I’m lucky to do this job. 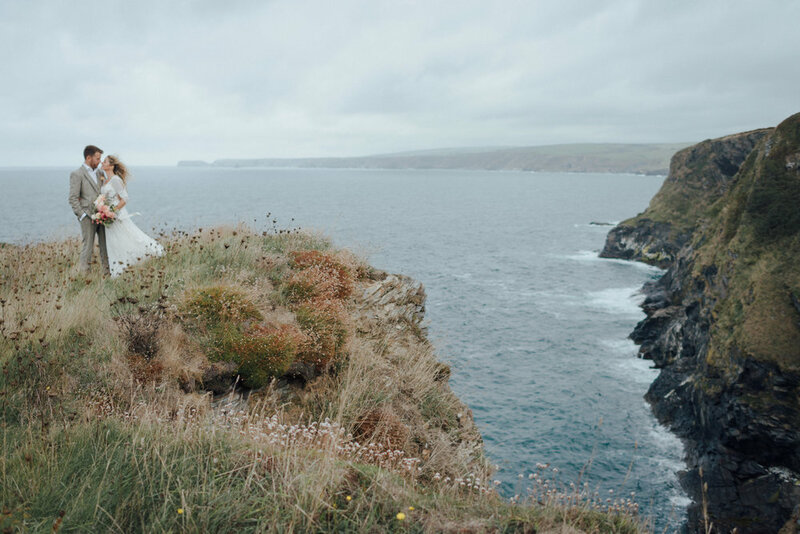 In September, autumn began to creep upon us as summer faded and this time I was at The Cornish Tipi weddings venue to capture Cara & John’s brilliant elopement. They had only their closest family (including three spectacular doggos) and their sweet son Bodhi who has the best hair I’ve ever seen on a 1 year old. I LOVED EVERYTHING about this couple and this day. It was like hanging out with old friends. Also, Cara is a florist and created these beautiful boat flowers. Once again, working with fellow creatives = my favourite shots because the pictures we made on the lake are some of my favourites ever. I’m feeling all the Romanticist painting goodness here. September was the month of farmer weddings! 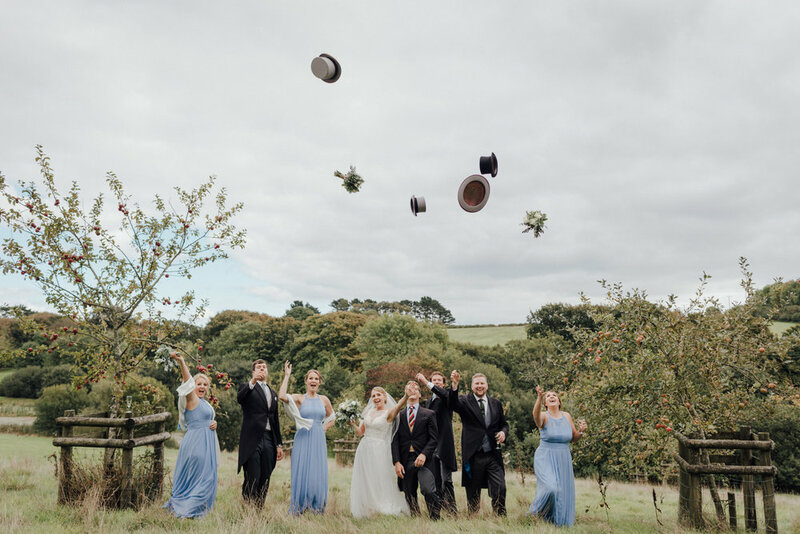 There was Nic & Ed at Trenderway with some memorable alpaca feeding moments and then Steph & Chris’s adorable day in Devon. I also got to capture the amazing day of my friend and former violin teacher Jo and her sweetheart Ash (In Devon again!) at their sweet village hall wedding set amongst the rolling hills. I’m sort of channelling my black and white obsession here but with Ash’s awesome b&w tuxedo vibes, I can’t help myself. My last wedding of the year was an incredible one. I had to stop taking bookings after October as by this point I was getting quite heavily pregnant and giving birth on the job wasn’t an idea I was particularly keen on. 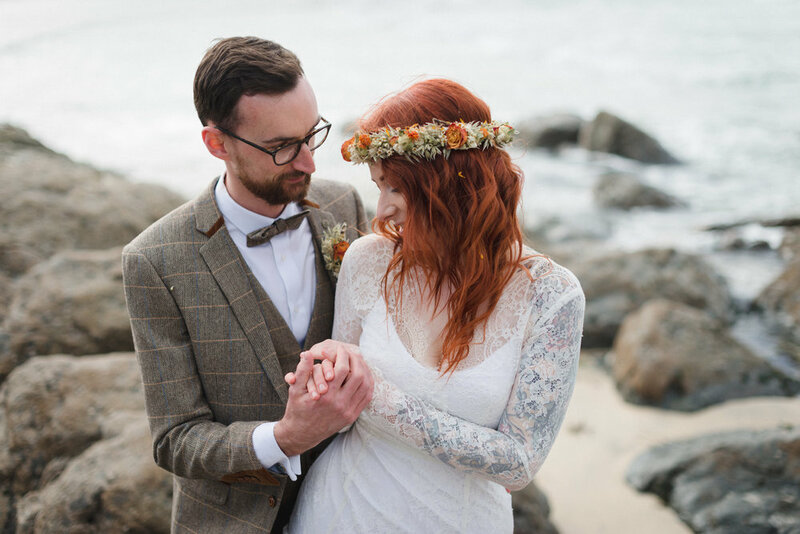 Ben & Kate had an intimate ceremony at the guildhall followed by a relaxed evening at Porthgwidden beach cafe. 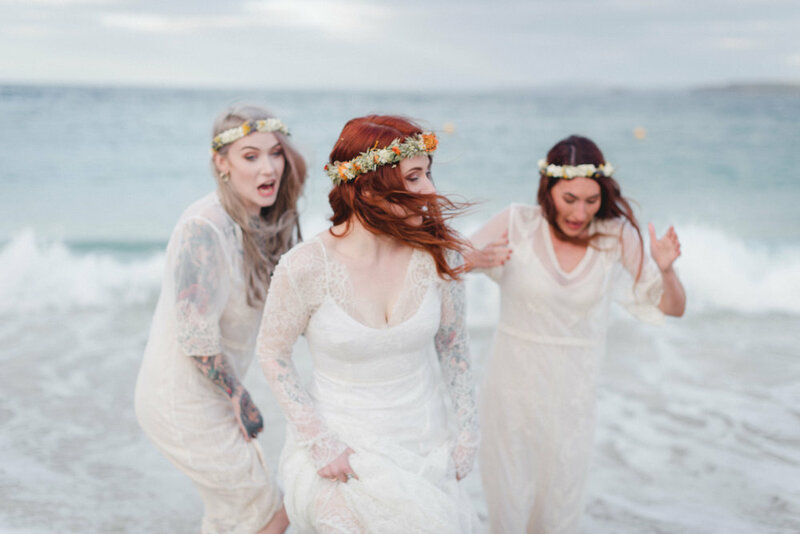 It was great because once again, I basically got to hang out on the beach with great people and take photographs, the St Ives light was performing its best work and Kate looked like a real life mermaid with her beautiful red hair and vintage lacy dress. Also, more fantastic doggo guests arrived. 15/10. Brilliant day. Brilliant year. Well what a memorable year its been. Once again, I got to visit some great places, seeing parts of the country I wouldn’t usually have thought of and meeting brilliant people. 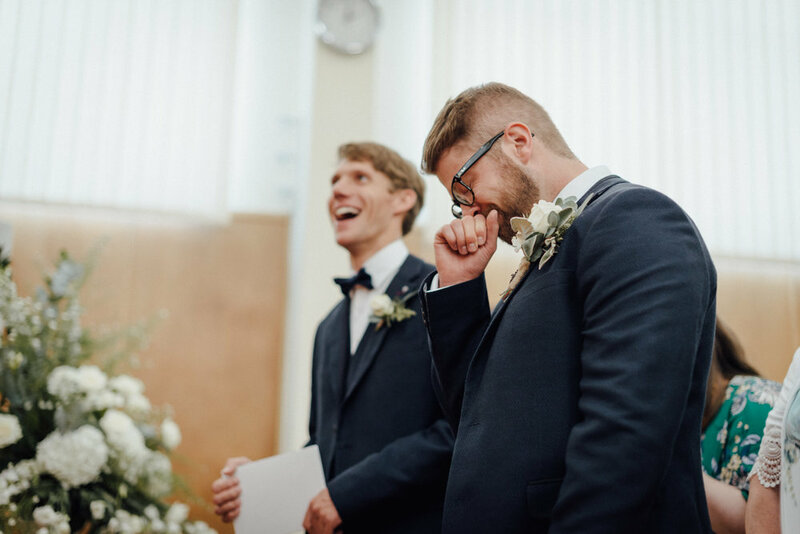 I’m a bit of an extrovert and I love meeting new people and learning about them and their stories so I always feel like I have way more fun at weddings than I ought to be considering it’s my work. Next year, I’m mostly south west based but with a few trips to Wales both North and South and then again up to York for a Winter Solstice wedding which I’m really excited about. 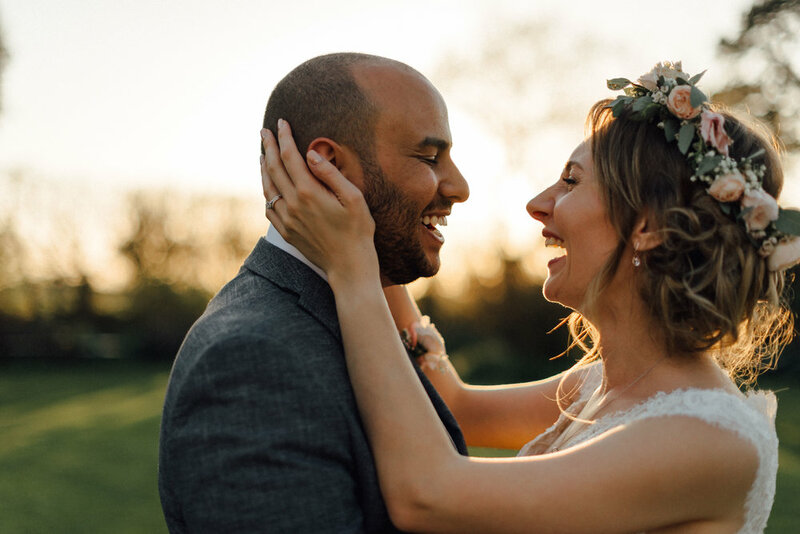 I’m pretty much fully booked for larger size weddings now so I’m just taking on elopements, smaller celebrations, adventure shoots, family shoots and more commercial projects BUT my books are open for 2020! Right 2019, lets see if you can top the last one!